so why Flypool show that i mine only 7 h/s when my both rigs with their miner show 70 sol/s ? @admin ok thanks, btw is that site working or just me have 502 error? Pools are currently having difficulties due to overwhelming load from users, so there could be temporary unavailability of the frontends and backends. Coinsforall is an outright scam and has scammed its miners! Please do not recommend it anymore! See the bitcointalk thread. They have stolen all coins and left. 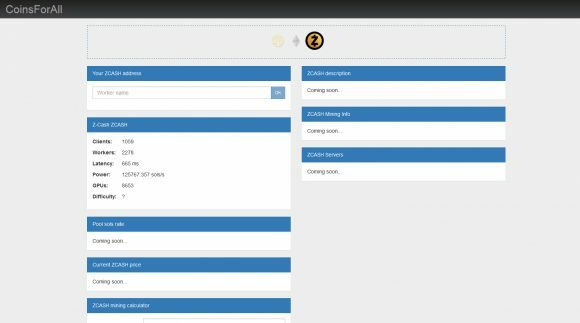 Nicehash has also released an updated miner with OpenCL as a part of their NiceHash Miner, so that is an alternative as well… it is again a bit slower as it provided essentially the same mining speed as the Suprnova one (it the same miner with the same kernel), though the performance on Nvidia CUDA does seem to be improved a bit over the earlier version available. Any open source cuda miner under linux? Please note that NiceHash nheqminer is only released in Windows binary form. The source code on github is for version 0.1c which doesn’t support GPU mining at all. so why they do not want release? are fee hardcoded in binaries? or they cripled to get adventage at start (gpu version use only 50% power)? or they not use open source code? or they scared thet someone will do better based on their code? Some tips for new miner. Best bet right now is nvidia and cpu mining, both are supported in windows on the nicehash miner which there are flavors at every pool. On suprnova, use v.2a but take the cuda tromp dll from v3, it’s a bit faster (source not released). If mining a on gtx 1080, set the threads to 32 instead of 64 (default) for a little bump (use the -ct 32 parameter). 0.4.1 works much better than anything I released earlier. For CPU/NVIDIA mining you should stick with the nheqminer for now… Genoil’s miner is good for AMD cards. genoil 0.4.1 gives EnqueueNDRangeKernel(-4) on the 1070 (372.54 driver)..
and it´s useless to try on 7950/280x as its based on Silent Army, and it doesnt work on GCN 1 cards. The best miner for old AMD card was the hardcoded one for Coinsforall, but the profit vanishes as you will receive your coins 48hrs late from that pool. I have total 10 workstation with this configuration. 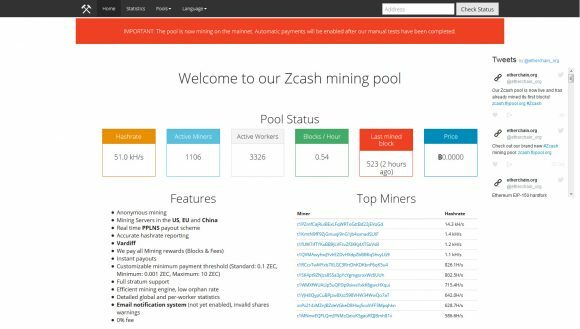 BUT I think zcash mining is not properly working on my system.